The most delightful place in the world is a home which gives happiness and satisfaction, in addition to shelter and security. When buying a home everyone tries to meet their desires of owning the dream home. Home is a lifetime asset, thus a lot of factors need to be kept in mind while buying a home. Sometimes the sum you spend on a home may be extravagant; however, if you know how to save money when buying a home, you can ensure that your savings are suffice and you do not need to take extra loan. The following tips would help you to save more when buying a home. Prioritize your needs, and place the need of house in the list: Among your multiple lifetime needs- there may be a car, land, home, and your own business place. The cost of the houses continuously increases and it is advisable to buy the house first before the value goes up thereby you can save more to fulfill other needs. Analyze your credit reports: Buying a home is an extensive purchase and you have to be more careful whether it is manageable with your credit limits and other debts and dues. If you have humongous over dues, first you have to clear them to a certain extent, so as to avoid paying high interest rates. Get a housing loan: Government provides house loans programs which can be approved at low rates and the loans under the state home affairs administration facilitate variety of paying options that are convenient to you. The same also enables you to get a fix monthly payment package according to your budget. Get the assistance of a buyer agent: A buyer agent assists you along the process of buying and you can choose a home that matches with your needs at the lowest rate, since the agent provides you with all the details of the homes that are up for sale sold. Get the help of your relatives: Your parents, siblings and friend may be willing to help you as much as they can. Let them know that you are going to buy a home and they would help you by lending money or introducing you to a finance company to get a low rate premium and it really saves your money. If you buy a home without proper planning, you may have to repent a lot as it might not adhere to your budget. But if you follow the above mentioned tips, you will save more thereby having those extra bucks in your retirement. If you read this article and would like to learn about ways to save when building a home instead of buying one, then head on over to The Money Ways and read my recent post. Good tips. 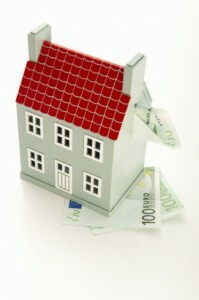 Home buyers that have a tight budget must follow this in order to them to gather funds for their homes.